The world we live in is a fast-paced one and it is getting faster by the minute. Is it any wonder then that people just don’t have a lot of free time to devote to socializing? An increasing lack of free time has been one of the main driving factors behind the explosive growth in online dating sites and the main reason why more and more people than ever before are turning to the internet to connect with one another. Plenty opt to use huge ‘generic’ dating sites for this but many people prefer to go with what they know – turning to more specific sites to meet people who share their hobbies, interests, and even their religion. 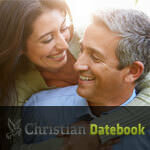 Pentecostal Dating Service is one such site. Because this site caters to a very specific audience, it does not have the tens of thousands of members that you would find on the ‘big name’ dating sites. It does, however, have a solid membership base with plenty of men and women who are ready to meet and connect with others who share their Pentecostal faith. This translates into a wide variety of people and profiles, meaning you won’t be staring at the same handful of people every time you log on. Instead, you’ll be greeted by a multitude of friendly faces and potential partners to choose from. The first impression that we got while writing this Pentecostal Dating Service review is that it’s a site that is centered around its members, from the profiles you’ll see under Your Matches on the Home page to those on display almost everywhere you look. When it comes to design, this site has got the basics nailed down. Sure, it’s not filled with ‘bells and whistles’ but it doesn’t need to be; not when it’s got all of the basic features necessary to help people get connected. It has the same Search and Browse features that are found on just about every dating site around but that’s a positive; after all, the aim of the site is to help people find one another and bring them together. The pages are clearly laid out and easy to navigate so it’s user-friendly for even the most novice computer user. 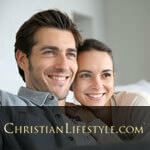 Create Your FREE Profile and Meet Single Pentecostals Today! The site’s features are pretty cut-and-dry. You’re able to search, browse, send messages, chat, flirt, and do all of the ‘typical’ stuff found on most dating sites. Of course, not all members have access to all of the features. That depends on what type of membership you have. The site offers two types of membership: a free basic one and a paid premium one. Free members can create a profile, upload their pictures, send up to 30 flirts to other members, and search profiles by who is in their area. Free members can also visit the chat rooms and enjoy group chat. We explored paid premium membership while doing research for this Pentecostal Dating Service review and here is what we found out: paid premium members can do all of these same things but they can also send messages to anyone, and enjoy both group and private video chats any time. The premium membership will run you $27.99 per month though there is also the option to prepay for three months in advance for $39.99, making it just $13.33 a month. With greater Chat options than the free basic account, a premium account makes your experience more interactive and gives you more ways to chat with and get to know the other members. 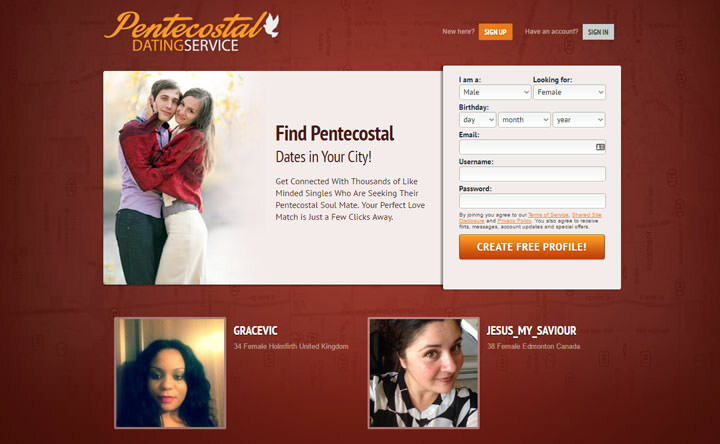 If you’re looking to be part of a dedicated Pentecostal dating site that is easy to use and filled with friendly faces, you’ll likely enjoy being part of this one. Meeting people who share your Pentecostal beliefs and values is what it’s all about here. Not only that, but just like society itself, the members come in every size, shape, and color you can imagine so diversity is a given. You’ll find black people, white people, Asians, Hispanics, and just about every other ethnicity under the sun. And because new members join the site all day every day, the community continues to grow, giving you more people to potentially connect and chat with around the clock. If you’ve been looking for a site that can help you meet women and men who share your religious beliefs and values, this could very well be the place for you. After all, outside of your own house of worship, it can be difficult to meet fellow Pentecostals but it’s possible to change that on this site. I was so thrilled to discover a website where I can meet likeminded singles. 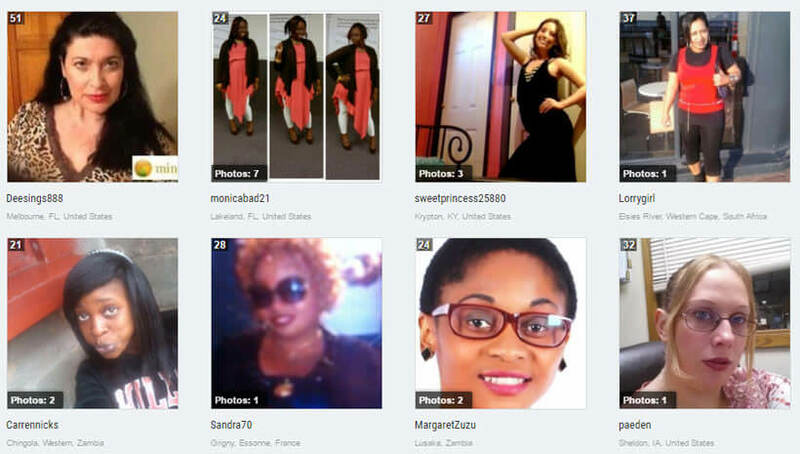 It’s not easy to meet Pentecostal singles in my area so this website has been a lifesaver. The thing I like the best about Pentecostal Dating Service is that it’s a simple and unpretentious website where no one pretends to be something they’re not. I believe most of the clients are decent, God-fearing people who still deserve to have some fun. As long as you keep it clean, of course! !